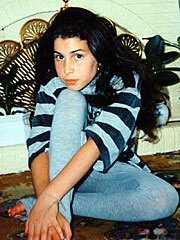 No Comments, Amy Winehouse Photos, by sms4send. 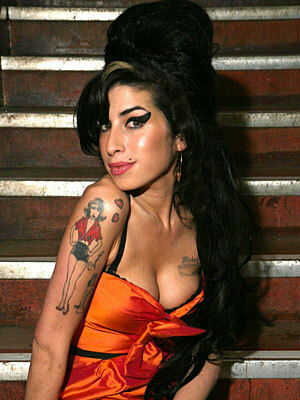 Amy Winehouse is only 5’2″, but with her swoosh of black eyeliner and towering beehive – which she calls her “secret weapon”– she’s larger than life. But it’ll take more than a killer ‘do to defeat this talented songbird’sdemons. Back to Black – a brutally honest retelling of her breakup with then-boyfriend Blake Fielder-Civil – has sold more than 3.3 million copies, powered by confessional songs like “Rehab.” But in 2007, the brilliant Brit was hospitalized for a drug overdose, checked into – and out of –rehab, and got busted for drug possession. She reunited with andmarried Fielder-Civil, only to have him hauled off to jail (they have sincedivorced). 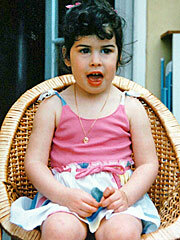 At 12, Winehouse wins a space in the prestigious Sylvia Young Theatre School, but is expelled long before graduation. (The final straw? Getting her nose pierced). “She was very bright but she was always messing around,” mom Janis tells London’s Daily Mailin 2007. By 16, Winehouse – who later tells Interview, “I’m not very ambitious at all” – lands a deal with Simon Fuller’s (the man behind American Idol) management company. She eventually signs with Island Records.